Two memoraie are open to the public on the site. Two of them are in the covered part. 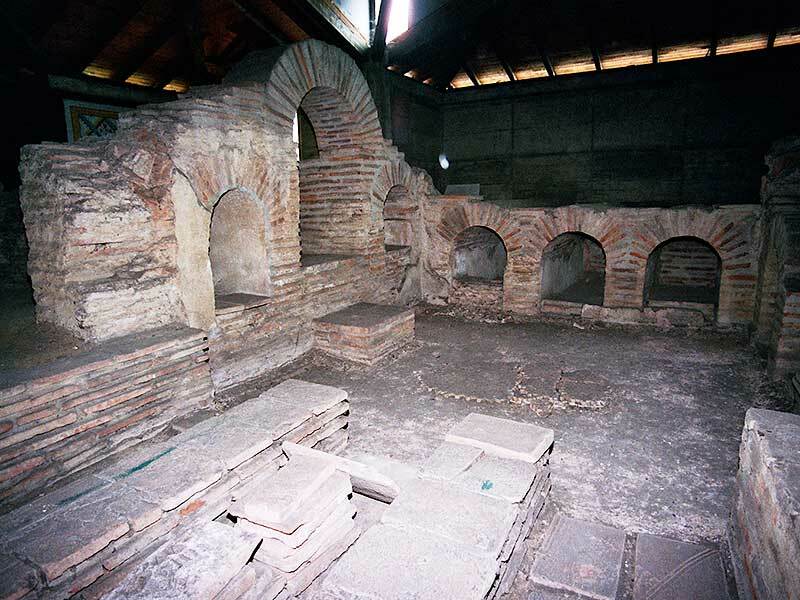 The memoria marked G-4816 is one of the most representative structures of its kind in the cemetery of Viminacium. It is cruciform in plan and contains eleven graves. It is oriented N-S with a 350 deviation to the west on its north side. The entrance is on the south side. It was built of brick bonded with lime plaster and it was approached through an entranceway 5 meters long, 3.70 meters of which consisted of a stairway. 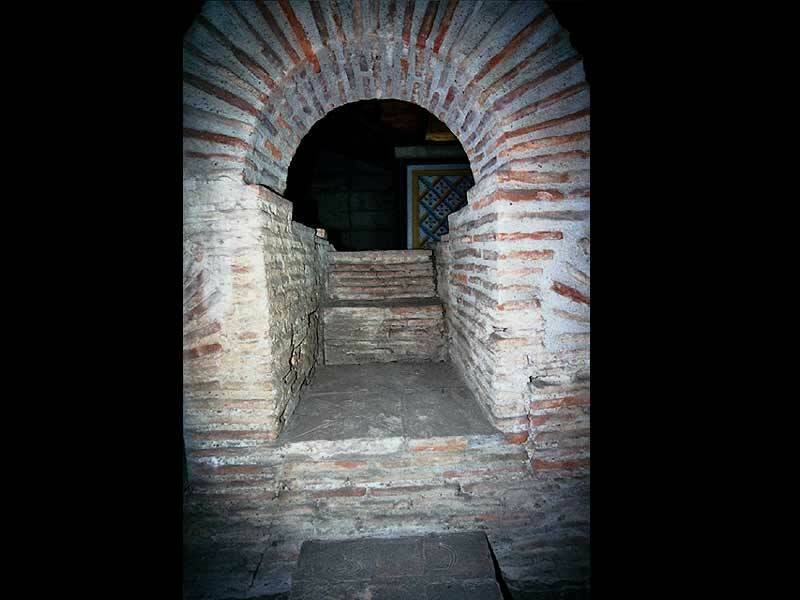 These very steep steps led down to the floor of the structure, which lay at a depth of about 3 meters. 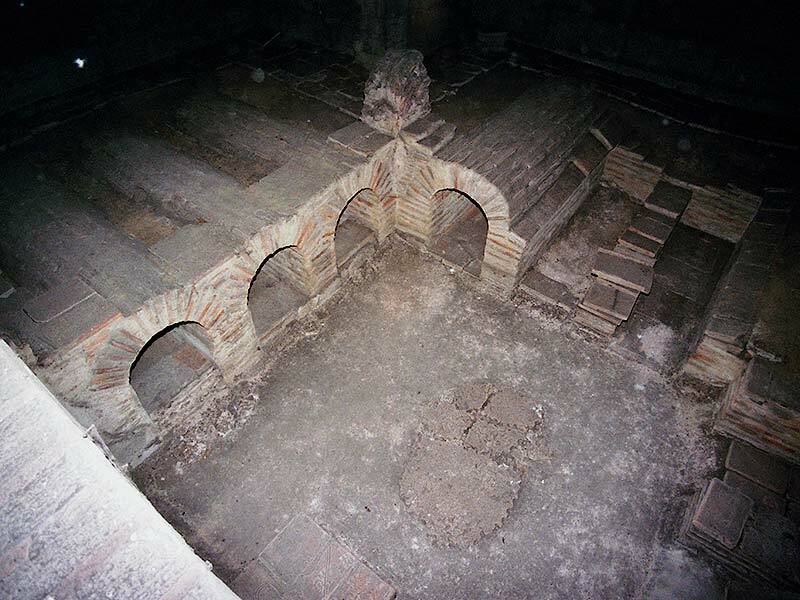 The first step was probably on the level with the crown of the cross vault surmounting the central area. The entrance is 0.95 meters wide. Only the two nethermost steps have been preserved; the others have been destroyed by bulldozers. The central area is square in plan. The walls were coated with lime mortar containing an admixture of pounded brick. The plaster was painted with frescoes. Traces of green color are extant at places. The edges of the partitions between the graves were painted red. The floor was covered with a layer of plaster into which butterfly-shaped tiles were set. These tiles have been preserved in the central part only. The bricks on the stairs and the floor tiles bear traces of wear on the edges – indicating frequent visits to the deceased family members over a considerable period. Rectangular conchs are on the north, east and west sides, and each contains three burial places. The front conch on the south side has two burial places on the left side and two on the right side of the entrance. All the burial places were vaulted. All the graves were plundered and destroyed. 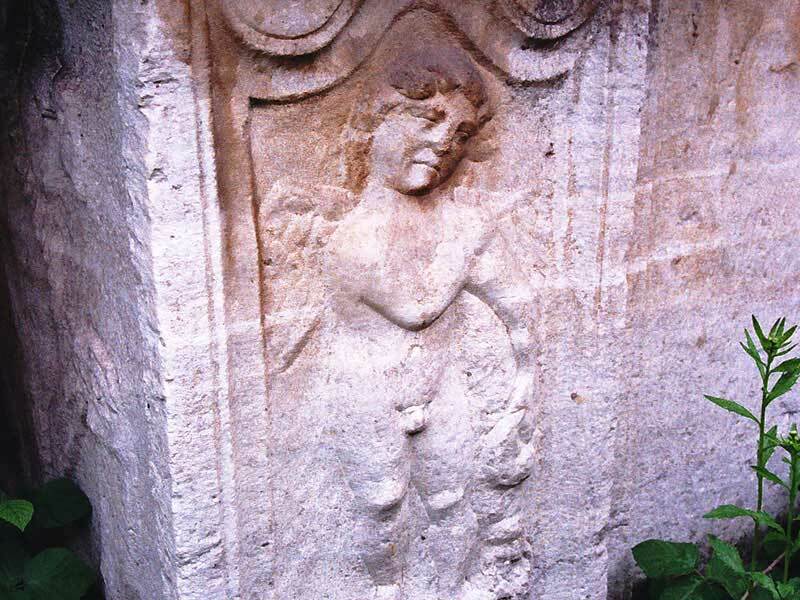 At a distance of 1.5 meters from the south-east corner of this memoria is another family tomb. It is marked G-4815 and it contains nine burial places. The tomb is oriented N-S with a 360 deviation to the west on its north side. The structure was greatly damaged by plunderers and by the local people who used it as a quarry of building materials. It is built of brick bonded with lime plaster. The walls are plastered within and bear traces of red, green and blue color. No remains of the buried bodies, apart from a few scattered bones, have been found. The memoriae are conserved and open to the public on the premises of the thermo-electric power plant “Drmno”.